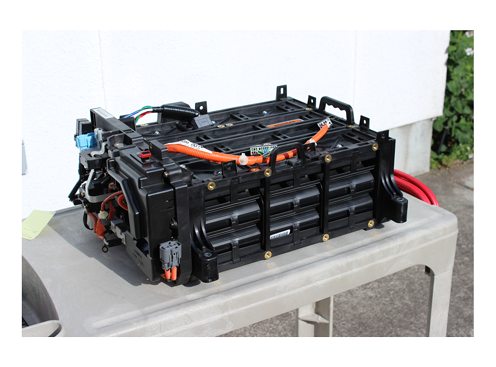 The “BeeLine” Rebuilt Battery for the Honda Insight from Bumblebee Batteries is our most affordable IMA battery replacement option to keep your 1st generation Insight on the road. Each BeeLine IMA Battery has been carefully rebuilt using meticulously tested and reconditioned OEM cells. Compatible with Honda Insight models 2000-2006. Cell MatchingProprietary software / 16-bit accuracy? Select your delivery state above to calculate your shipping cost. This amount includes both the shipping of your new battery and the return of your old battery. Shipping originates from our service center in Portland, Oregon. The shipping cost will be added to your order during checkout. Quality and Commitment At Bumblebee Batteries, your peace of mind is our first concern. For hybrid owners, buying a replacement hybrid battery shouldn't feel like a roll of the dice. BeeMax™ replacement hybrid battery packs from Bumblebee Batteries for the Honda Insight, Honda Civic Hybrid, Honda Accord Hybrid and Toyota Prius give you amazing performance and durability, and come with an industry leading three-year warranty. We source only the highest quality components and rigorously test every battery we sell. I'm very pleased with my Insight battery from Bumblebeeâ€¦ I must say this was an easy process and I'd recommend it to anyone with a minimum of experience with working on cars and electrical systems. A piece of cake! Whoo-hooo!!! New battery in, took a drive and it feels great. Total time for every thing including clean up was 3 hours. Feeling goodâ€¦This has been a totally good experienceâ€¦So glad you folks are here for us Insight owners. I just wanted to let you know that I had my new BeeMax battery installed this past Friday, and it's lovely to have the spring back in my car's step! I even noticed that it went into Auto Stop a couple times on my way back from the shop, which it never used to do in the cold. Thanks very much for all of your help throughout the buying process – great doing business with you! Wow! Received my new pack on Monday, installed it today. No matter how much you read about what a difference it makes, you just can't imagine it, you must experience it for yourself. It really puts life back into the car. I can now get up to highway speed quickly which is rather important as I pull out of my driveway directly onto a major US highway. I can't seem to get the big grin off my face. We gladly provide professional recommendations to empower your drive. What’s on your mind? Call 888-968-5005 or use our handy contact form to get your questions answered. Also be sure to check our Frequently Asked Questions!